With increased competition in eCommerce, one way you can get a leg up on your competitors is through the use of audience segmentation tools. Audience segmentation is a simple marketing process that every company must use to reach their customers more effectively. Audience segmentation is a subset of audience analysis, and it involves sorting your customers into various groups depending upon certain data points. At its core, audience segmentation is simply an acknowledgment that your buyers are not homogenous in terms of identities, needs, desires, motives, capabilities, etc. Naturally, the exact same messaging won’t necessarily reach all segments of your audience in the way it was intended. When you embark on an audience segmentation strategy, you are also creating messaging that is tailored to be as informative and compelling as possible for the specific segments you have identified. The most important component of marketing is learning how to deliver your company’s value proposition in ways that uniquely speak to the audience at hand. With audience segmentation, you use the power of data to better understand who your customers are so that you can effectively communicate the value of your products to them. The great thing about running an eCommerce business is that the data you need to accomplish this is widely available. You just have to figure how to harness its power. With the prevalence of mobile and social media, consumers nowadays are more willing to share personal data and are able to do so quickly and easily. As marketers, it’s up to you to make the most of this opportunity by efficiently and responsibly employing this data for audience segmentation. The genesis of any audience segmentation plan begins with a data quality assessment. Your results are only going to be as good as your data, which is why it’s crucial to conduct a review of your current standards and practices and see if you can match them to known eCommerce best practices. Check your landing pages to ensure that they are set up to collect the information you need. Make sure your data points are being accurately transferred and categorized into your databases. Restrict access to this data only to the personnel who need it, in order to reduce the chances of data quality being compromised. When you are relatively confident in the quality of your data, you can begin to use your digital resources to build your customer personas. Segmentation based on demographic information has been one of the most common marketing tactics since the beginnings of capitalism, but the possibilities of the digital era allow for much more detailed and informative groups. You can look at buyer behavior, geographic data, engagement patterns with your email marketing campaigns, and more to compose a complete picture of your target audience. You can even survey your customers about their personal interests, likes, and dislikes, feelings about other brands, etc. Once you’ve built your segments, you can start tailoring your messages to your specific groups. Use the information you have collected to decide how you can communicate to a specific segment with the most impact. Begin by testing your new messaging with small subsets of your groups. Measure the impacts, and roll out the strategy to wider segments accordingly. They make each other better and amplify each other’s strengths. You can use intuitive campaign automation tool to reach customers reliably in the face of audience fragmentation. Once you have your messaging down pat, email list segmentation can help you deliver that messaging to its target audience at exactly the right time. Personalized content goes hand-in-hand with marketing automation, and it has been proven to increase engagement in almost any campaign. The more you know about your customers, the easier it is to add personalized touches into your messaging. Amazon is king when it comes to segmentation by past purchases, but you don’t have to have their resources to succeed with the strategy. ContactPigeon gives you powerful tools to analyze a customer’s purchase history and make compelling recommendations to your segmented audience at opportune times. 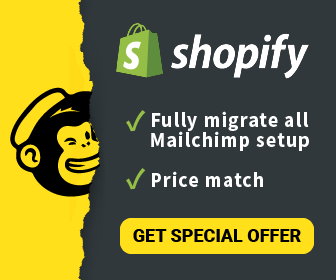 Best of all, it integrates with most of the popular eCommerce platforms, including BigCommerce, WooCommerce, and Shopify, and works seamlessly with historical e-commerce data on your platform. Location services are a boon to marketers, and you have to be ready when your customers opt in. When you combine location data with information such as shipping and billing addresses, you can create a pattern of movement for certain segments of customers, including what types of places they travel to, and when. This capability offers you the flexibility to run localized campaigns and connect with your customers on a community level. There is no correct answer in such a question. Depending on your industry and your needs the tool that you may need may differ. For example: Start free with Google Analytics Audiences: They are free and quite insightful, though they need lots of manual work. If you need something more automated then a marketing automation platform is what you need: ContactPigeon, is an award-winning eCommerce marketing automation platform with 200+ clients worldwide including L’Oreal, ABB and many more, which offers a complete eCommerce suite and tools for audience segmentation, sophisticated email automations and triggers to nail your sales funnel and conversions. Audience segmentation is a sophisticated marketing strategy that brings superior results when executed well. For eCommerce, it leads to enhanced marketing ROI due to the audience diversity involved. As marketers, the quest to better understand your customers has no end, but audience segmentation is one of the key signposts along the journey.